The mysterious hole growing game. 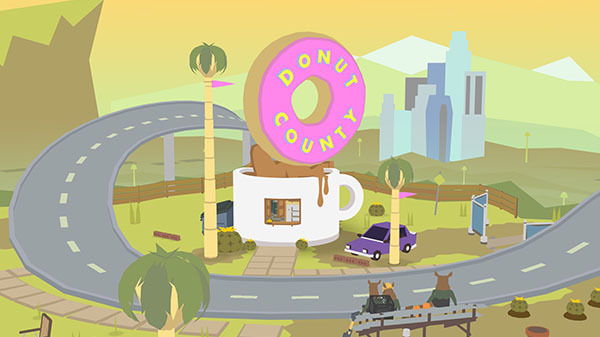 Donut County, the mysterious growing hole game from Annapurna Interactive and Ben Esposito, is coming to PlayStation 4 in addition to PC, Mac, and iOS in 2018, Esposito announced at the PlayStation Experience 2017 opening celebration. You play as a raccoon named BK, a new hire at a startup that uses remote-controlled holes to steal people’s trash – along with everything else. When BK falls into a hole himself, he must answer to his best friend Mira and the residents of Donut County who are now stuck 999 feet below their homes. Watch the PlayStation 4 announcement trailer below.